Central Taiwan Science Park was born on the Dadu Plateau out of the need to construct a high- tech corridor in western Taiwan and connect the existing Hsinchu Science Park and Southern Taiwan Science Park. The Executive Yuan approved the preparation proposal for Central Taiwan Science Park (Yuan-Tai-Ke No. 0910046512) on September 23, 2002, followed by the joint groundbreaking ceremony for CTSP and AU Optronics Corp. on July 28, 2003. This was the beginning of CTSP's progress under the philosophy of "synchronized development and synchronized operations". It has been more than 14 years since CTSP's groundbreaking ceremony on July 28, 2003. The land under the jurisdiction of the CTSP Bureau currently includes Taichung Science Park of 466 hectares, Huwei Science Park of 97 hectares, and Houli Science Park of 255 hectares, whose construction has all been completed, and Erlin Science Park of 631 hectares and the Chung Hsing Park of 37 hectares, whose construction is ongoing, altogether covering roughly 1,486 hectares. The total occupancy is 91.75% for land and 98% for standard factories. 20 new manufacturers were introduced in 2016. The sales revenue reached over NT$507.4 billion. As of the end of 2016, the number of employees had exceeded 39,956, 189 manufacturers were introduced, and the total planned investment exceeded NT$2.487 trillion. Taichung Science Park is located on the border between Daya District and Situn District of Taichung City, with an area of 466 hectares and a highway system connecting Freeway 1,Freeway 3,and Taichung-Changhua Expressway. It is 9.2 km from the Wurih Station of Taiwan High Speed Rail and adjacent to the Port of Taichung and Taichung Airport, with a convenient air, sea, and land transportation network. The overall core planning strategy for Taichung Science Park features "sustainable development" and "preservation of local landscapes and culture." 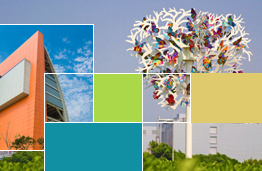 With its environmental advantages, such as adequate location, favorable climate, and adjacent urban functions, Taichung Science Park has become a green park that attracts high-tech industries and talents for permanent settlement. Huwei Science Park is located in the northwest of Huwei Township of Yunlin County and spans 97 hectares in area. The adjacent area on its eastern side is designated for a Taiwan High Speed Rail station that is slated for completion in July 2015. Combining the operative High Speed Rail station, it will be able to quickly develop into a green park and community that is both healthy and functional in the future. Its industrial strength is expected to be splendid and promising. Houli Science Park is located in Houli District of Taichung City. It is about 11 km from Taichung Science Park and close to the Fengyuan commercial district. Among the total area of 255 hectares, 148 hectares are meant to be used for industries only. Houli and Chising are the two primary sites. They are located on the south and north sides of the urban planning area in Houli District. They primarily target manufacturers in the optoelectronics, semi-conductor, and precision machinery industries in order to integrate local industrial resources in Houli District and create economic prosperity. Erlin Science Park is located in Erlin Township of Changhua County, around 6.3 km to the west of the Yuanlin Interchange of Freeway 1. The site encompasses the Wanxing Farm and Dapaisha Farm of Taiwan Sugar and spans 631 hectares in area. The area assigned exclusively to park utilities consists 344.07 hectares. The park primarily targets the precision machinery industry. The Chung Hsing Park is located in the northwest of Nantou County, 4 km from Caotun Township and 6 km from Nantou City. It is part of the urban planning area for Chung Hsing New Village (including Nanneilu) in Nantou County. The total area of the Park is 37 hectares. Existing administration talent and hardware from Chung Hsing New Village are used by the Park that primarily focuses on the cultural creative industry and high-tech research and development.